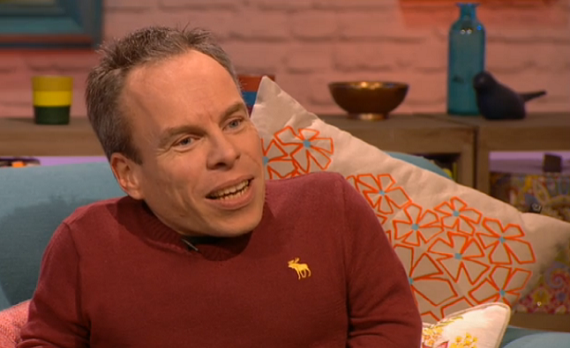 This weekend sees the launch of a new talent show on ITV called Planet’s Got Talent hosted by Warwick Davis. The new show is set to feature incredible acts from across the globe and today Davis told ITV’s Mel & Sue that he is very excited about his new show that is set to last for six weeks. Davis wittily steers us through the hilarious, show-stopping, heart-pumping performances. And with thousands of hours’ worth of footage to choose from, every clip is unforgettable…whether for the right or wrong reasons! From Indonesia to Iceland, Bulgaria to Brazil and China to Chile, the show features some of the very best and worst acts that the world has to offer. This week’s first show includes a dog from the USA who does back flips, Russian acrobats who bring a whole new meaning to the word flexible, a Korean lady with a vendetta against apples and a man in India who can stuff 200 straws into his mouth at one time. BBC rightdiet test identifies personalised diets on Horizons What’s The Right Diet for You? Anybody else see her in Complex and think how much airbrushing can do for a person?This guy Andre drops one verse every six mths, but th&1#e82y7;re always on-topic and good.